VEC Director Bryan Buggey and fellow panelists will provide brief presentations on emerging trends which will be followed with an in-depth audience question and answer period and table discussions. 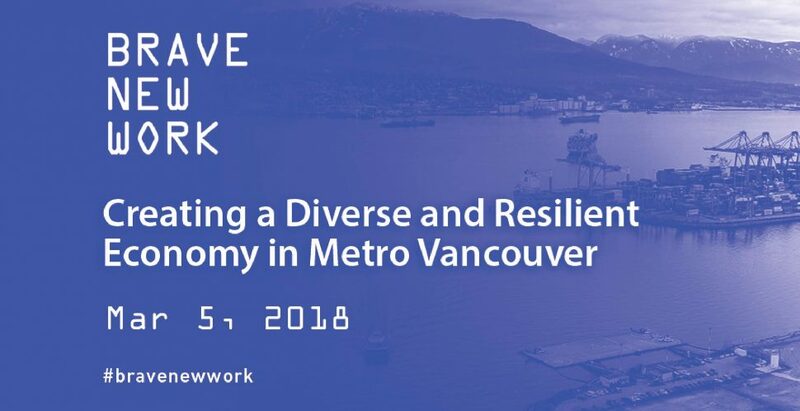 Staff from the City of Vancouver will also be on hand to to participate and hear your input on policy and planning issues related to employment and industry planning in Metro Vancouver. This event is being co-organized by SFU Public Square and the City of Vancouver. Part of SFU’s 2018 Community Summit: Brave New Work, this event is free to attend. Click here to register.